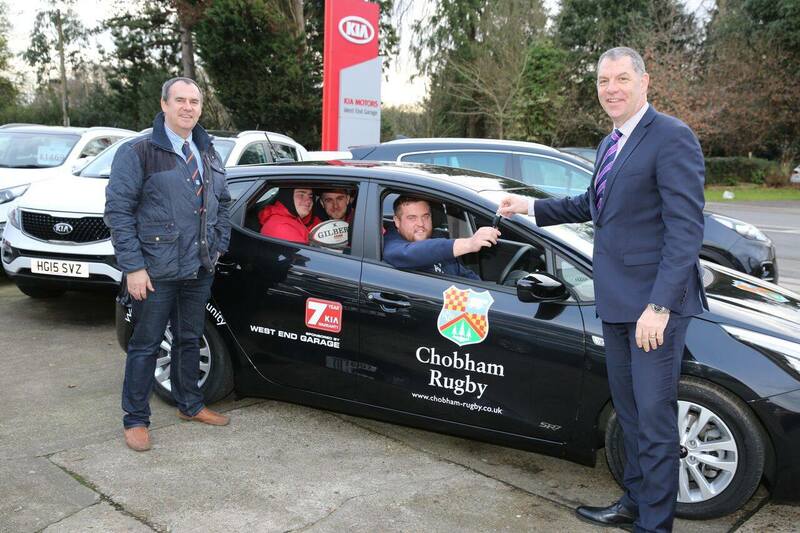 The Community team at Chobham Rugby Football Club were delighted to be handed the keys to a new Community car sponsored by West End Garage Kia. You will see the car out and about in the community visiting local schools and colleges where Chobham’s Ed Wynne and his team will be delivering PE sessions and after school rugby clubs. Pictured here is Damian Dunne handing the keys to a delighted Chobham team. For more information contact Damian Dunne http://dealers.kia.co.uk/westendgarage/ or Ian Woodley, Chobham’s Head of Community Rugby.